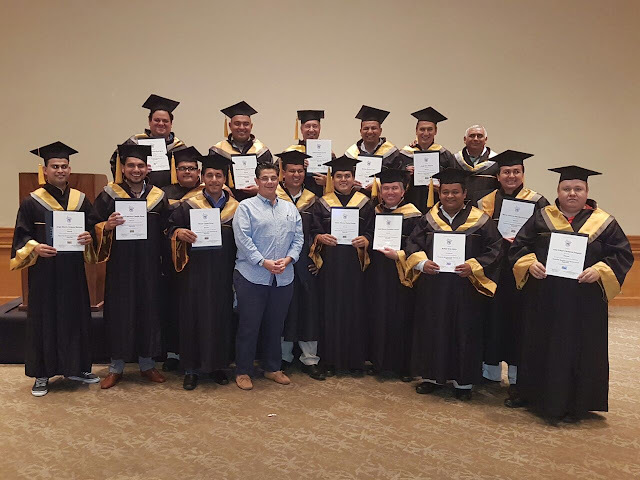 Seventeen security officers, managers and directors from Bahía de Banderas’ hotels studied the certification’s six modules over the course of five months to emerge as leaders in the safety arena. The Bahía de Banderas Hotel and Motel Association (AHMBB by its acronym in Spanish) and the Riviera Nayarit Convention and Visitors Bureau offered their union members a Certification in the Managerial Development in Hotel Security, which was offered by the prestigious Tecnológico de Monterrey and successfully completed. Seventeen security officers, managers and directors competed the certification’s six modules in a satisfactory manner over the course of five months from May through September 2016. Participating hotels included the Four Seasons Resort Punta Mita, The St. Regis Punta Mita Resort, Iberostar Playa Mita, Grand Palladium, Rancho Banderas, Villa Group, Grupo Marival, Grand Velas Riviera Nayarit and Vidanta. The AHMBB seeks to improve every possible aspect. In this respect, Güelman put forward that they’re already considering bringing in another certification next year for what is considered the “Achilles’ heel” of the hotel industry around the world, which is middle-management role in safety.